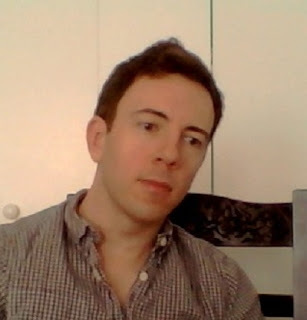 I just finished a really good book, y'all — Academic Curveball by James J. Cudney. Let me tell you about it. Academic Curveball is the first book in the Braxton Campus Mysteries. It stars the believable, relatable Kellan Ayrwick. 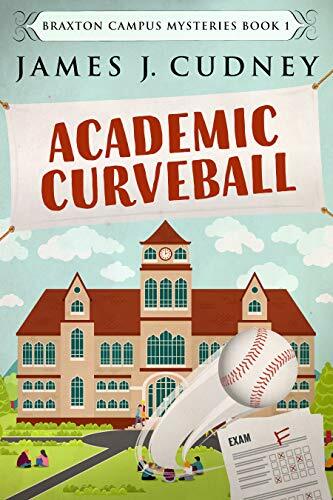 I enjoyed the witty dialogue between him and the quirky secondary characters, especially his Nana D.
The plot of Academic Curveball held my attention throughout the book. The mystery is plausible, with twists and turns galore. The multiple red herrings kept me guessing, and I was surprised by whodunit. Academic Curveball has quite an unexpected twist at the end, which left me eager and anxious to read Book Two in the series, Broken Heart Attack. The Braxton Campus Mysteries are off to a great start with Academic Curveball. This is a series that I will definitely continue with. I recommend Academic Curveball to fans of cozy mysteries, especially academic cozies. I really enjoyed Academic Curveball by James J. Cudney, and grant it Four Kitties. Follow the tour, to read other reviews, plus Guest Posts and an Author Interview!